Once again, thank you to everyone who responded to the survey. I read every comment and suggestion and plan to use them. Here is a summary of the results for anyone who’s curious. 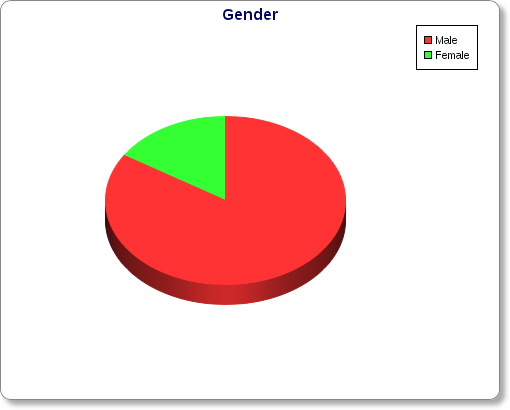 Gender: I expected this to be a little less lopsided, but from what I’ve seen the coin collecting hobby tends to have more males. Why, I don’t know. 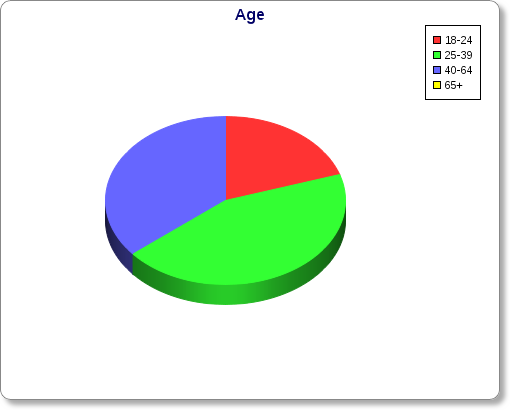 Age: Except for the 65 and older age group, we have a pretty good mix of ages. My guess is that the 65 and older crowd aren’t as involved online, because there are certainly plenty of collectors in that age group. 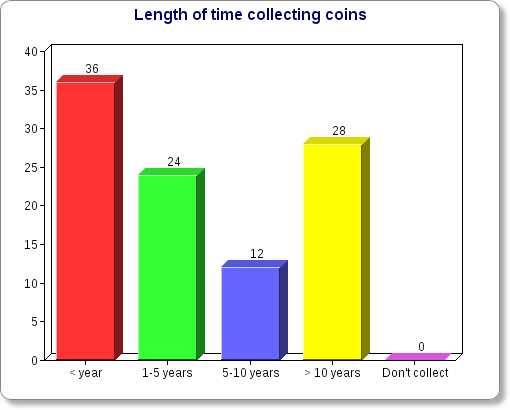 Length of time collecting coins: This is a great mix of long time collectors and newer folks to the hobby. That’s ideal because both groups can benefit from interacting with the other. Plus I was pleased to see everyone who took the survey at least collects coins. 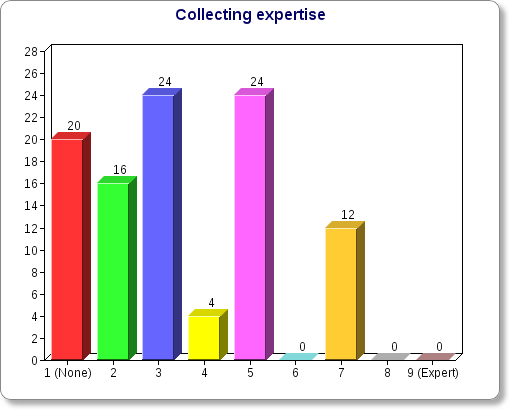 Collecting expertise: We have a broad range of experience, tending to lean towards less experience. This is kind of what I expected, because many of the blog posts cater to the newer collectors. By the way, any experienced collectors (or anyone for that matter) are invited to contribute articles for the site. 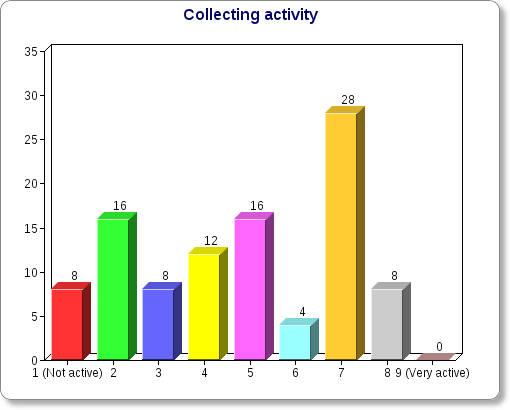 Collecting activity: This is another good mix, leaning slightly toward more active collectors. That’s great! This hobby can really use you! 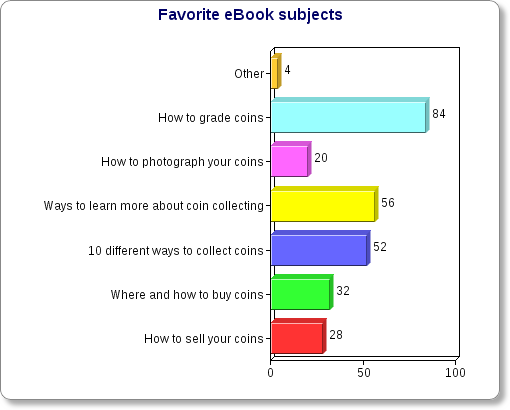 Favorite eBook subjects: It looks like my next eBook should be about grading coins. The only problem is I’m not an expert myself. I’m still figuring out what to do there. The next two topics were almost tied between “Ways to learn more about coin collecting” and “10 different ways to collect coins”. Those could even be long blog posts instead of an eBook, depending on how much there is to cover. For the person who asked for feedback on NumisNetwork, here’s a post I wrote on that subject. There were some great suggestions for blog posts. I plan to use them in the coming months as I can carve out the time to do them justice. Stay tuned.